Even though we’re taking pen-to-paper a lot less these days, students still need to flex those developing muscles to achieve a number of small-motor tasks such as cutting and shoe tying. And, regardless of the available technology for writing activities at school, kids still participate in crafts that are meaningful to them at church, scouts and camp. When creating a gift for a parent or a card for a missionary, it’s hard for many students with disabilities to make their paper as pretty as they’d like. Offer step-by-step directions…step by step. This sounds so obvious, doesn’t it? Of course we explain each step of our crafts to kids! It’s important to remember, though, that some kids have difficulty sequencing directions or recalling the steps. For multi-step projects, it’s best to give directions one or two at a time. Get spaced-out. Students with disabilities may need more room to work. This might help them focus, or provide the elbow room they need to work comfortably. If possible, provide additional workspace and allow students to choose a spot that feels right. Provide visual support. Kids on the autism spectrum rely heavily on visual cues. If possible, have a sample of each step of your craft on the table, or do the craft along with the students so they can see what you are doing. Consider a few products to make things easier. Some kids with hidden disabilities have a hard time sitting still for a variety of reasons. One helpful product is a slant board. 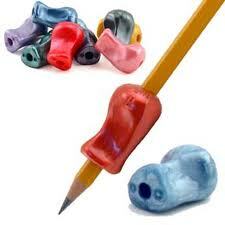 This can help kids to focus and also reduce fatigue when writing or coloring. 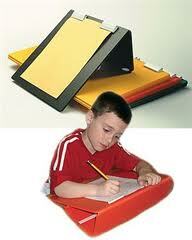 They can sometimes be a bit pricey; a large three-ring binder can provide similar support. Another product I love for seat work is a specialized cushion. 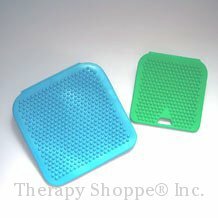 These wedges or discs give students a bit more sensory input so they can fidget without floundering. They’re also a bit expensive, but can be quite helpful! 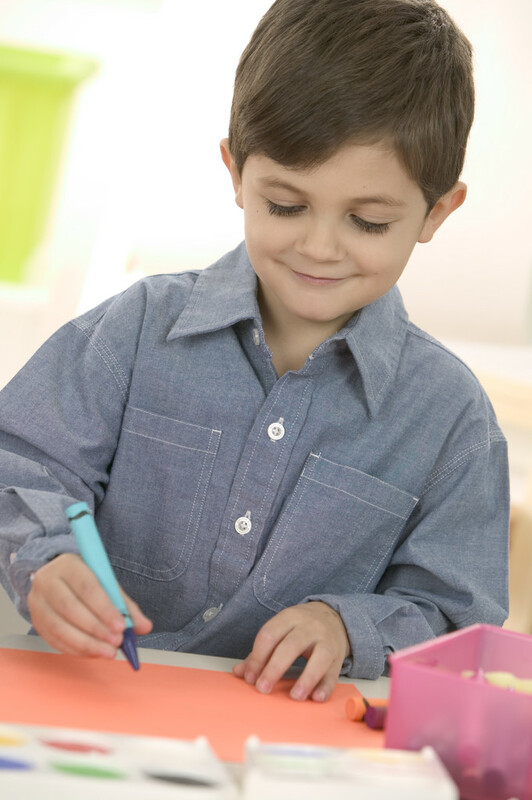 (Remember, too, that some kids prefer to stand while doing crafts…and that’s okay!) Finally, stocking your craft cabinet with different sized crayons and pencils, both the “fat” and “skinny” kind, as well as offering inexpensive pencil grippers allow for more comfortable writing and drawing. FYI…I don’t endorse any products, and I don’t receive any compensation for mentioning these websites. Not a penny, pound or shilling. I’d love to hear your writing and craft ideas! This entry was posted in Resources, Teaching Tips by katiewetherbee. Bookmark the permalink. These are great suggestions for all kids! Turning in a pretty paper can be a confidence builder for kids, too. They learn that hard work + time = excellence. So true, Jolene! Thanks for adding this to the discussion!